The CAS2Net 2.0 upgrade took 20 years, but it got a brain transplant for its 20th anniversary. The AcqDemo Program Office’s rollout of CAS2Net 2.0 may not exactly be cause to break out a $200-plus bottle of Cristal champagne, but for those in the AcqDemo system, the midyear review season provides reason to celebrate. The long overdue update brings many eagerly awaited changes and a much more robust system. For those wondering why it took so long, the fact is that it almost didn’t happen. How it did is almost a shaggy dog tale. More about that in a moment. For those familiar with CAS2Net 1.0, the new version will look a great deal like the old one, which is a good thing because it means no one needs to learn a whole new system. CAS2Net 1.0 software is—there’s no way around it—old. How old? Older than Windows XP. Older than CD burners standard on personal computers. A kid born when CAS2Net 1.0 debuted could be a sophomore in college today. For many, the old CAS2Net could be frustrating, non-intuitive and time-consuming. Forget to hit the save button and everything you entered could disappear. It also could require a lot of cutting and pasting but if, for example, you put in a bulleted list, pasting didn’t bring formatting along with it. The old version is a bit like a forgetful, disheveled colleague who, one day, is replaced by his brother. The brother is sharper, never forgets anything, and gets the job done with efficiency and a dash of style. He may look like his predecessor in superficial ways, but no one is going to miss the original. That’s CAS2Net 2.0. On the surface, the site appears to have had a top-notch facelift, but it’s much more like a brain transplant. 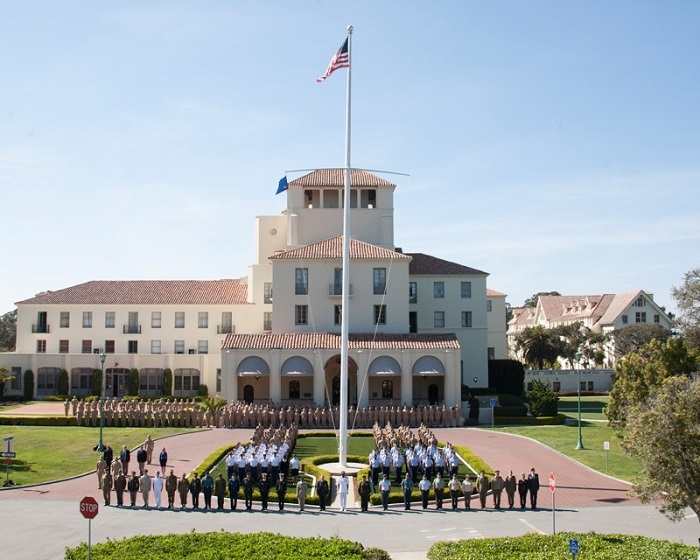 The Program Executive Office for Enterprise Information Systems’ Acquisition Logistics and Technology Enterprise Systems and Services (ALTESS) modernized the software behind the site for the Office of the Secretary of Defense’s Human Capital Initiatives (HCI) program. From a user perspective, the new version looks similar to the original but feels better, said Chad Vance, who has managed the sustainment of CAS2Net 1.0 since 2015, as part of his portfolio as Application Services Division chief at ALTESS. But what’s really important is that “some of the stuff that’s going on in the back end [of CAS2Net 2.0] is a lot more robust. The database was optimized. It’s more efficient, it can handle more users, and it’s definitely more reliable. There was a lot of work—probably a lot more work—that went in on the back end of it,” Vance said. Its ability to scale as its user base expands is a major concern for AcqDemo, which now has more than 40,000 participants. According to Vance, one of the most frequently requested improvements to CAS2Net was, ” ‘Can’t you make it more like Word?’ So we found an interface that looked more like [Microsoft] Word.” The new version also autosaves, another much-requested improvement. But all of the new improvements came close to never happening. CAS2Net 1.0 launched alongside AcqDemo (the DOD Civilian Acquisition Workforce Demonstration Project) in 1999. (See related articles, “Contribution!” Army AL&T, July-September 2017, Page 112, and “Celebrating 20 Years of AcqDemo” in Defense Acquisition magazine, March-April 2019.) Unlike the General Schedule (GS) system, with its salary steps, AcqDemo is a performance- or contribution-based management system, with “broad band” salary levels that are much wider than the GS steps but correspond to GS pay levels. The AcqDemo system, which was developed in an effort to further professionalize the acquisition workforce, offers more flexibility for movement from level to level within pay bands, and the potential for annual awards or bonuses, among many other things. 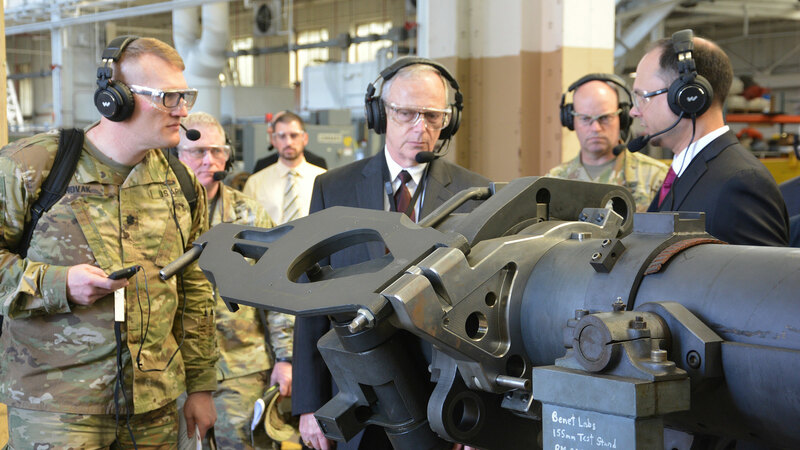 Always in search of ways to make the defense acquisition system better, Congress created the National Security Personnel System (NSPS), which DOD implemented in 2006. Among the intended consequences of NSPS was that AcqDemo would go away. And it might have, had it not been for collective bargaining agreements between DOD and about 3,500 unionized employees. To make AcqDemo go away, DOD would have had to renegotiate those labor agreements to move those employees onto NSPS, said Sandy Brock, Army AcqDemo program director. DOD didn’t do that, but all other employees migrated to NSPS. That period saw the lowest enrollment of employees in AcqDemo—and improvements to CAS2Net were hardly a priority. Then, in October 2009, following criticism that NSPS was unfair, the National Defense Authorization Act for Fiscal Year 2010 included a provision to unwind NSPS by 2012, returning participants to their previous pay systems. So, while many former NSPS employees returned to AcqDemo, its survival still was not a foregone conclusion. Meanwhile, CAS2Net just kept getting older. Today, even with NSPS gone, AcqDemo is not the only demonstration contribution-based system. “There are 15 others that we track,” Brock said. Regardless of whether you identify AcqDemo’s birth year as 1996, when it was conceived, or 1999, when it was implemented, 20 or 24 years is an almost inconceivably long time for software to go without a significant upgrade. ALTESS may be an unlikely savior and software developer for CAS2Net, but that’s essentially the case. A couple of coincidences cemented that mutually beneficial relationship. The first coincidence was that ALTESS took over the sustainment of CAS2Net in 2015. The second was the designation in December 2016 by then-Secretary of the Army Eric K. Fanning—who was impatient with the pace at which the Army was consolidating legacy data centers—of ALTESS as a “modernization hub” in a directive. And while that directive says, “The ALTESS Data Center (RFAA_VA_ALT_01) is designated as a modernization hub for Army commands and is available to facilitate Army application modernization support,” it doesn’t define what it means for ALTESS to be a modernization hub or what modernization support means. For Vance’s shop specifically working on application modernization, that means two different avenues of work. The first is what Vance described as “the minimum support needed to bring software up to Army cybersecurity and regulatory standards.” The second is what he called “strategic modernization,” of which CAS2Net is the most recent example. For Vance and his team, that means working with DOD customers to develop software upgrades quickly, with more flexibility than a traditional contractor would be able to bring to the table. The final, and perhaps most interesting, coincidence was the pivotal role of Tony Parton in shepherding CAS2Net to its renaissance. Parton is the deputy program manager for AcqDemo in the Human Capital Initiatives (HCI) program at Defense Acquisition University at Fort Belvoir, Virginia. HCI owns CAS2Net and AcqDemo, and Parton’s office at AcqDemo is a few doors down from Army AL&T. Before that, however, he worked at ALTESS on Vance’s team. During his 15 years of Army service, Parton found that he was good at fixing things, especially electronics. He leveraged that ability and earned a degree in software development from the College of Brockport, within the State University of New York system, in 2002. That eventually led to his job at ALTESS, managing the Army Budget Office’s P&R [Procurement and RDT&E, or research, development, test and evaluation] Forms software. 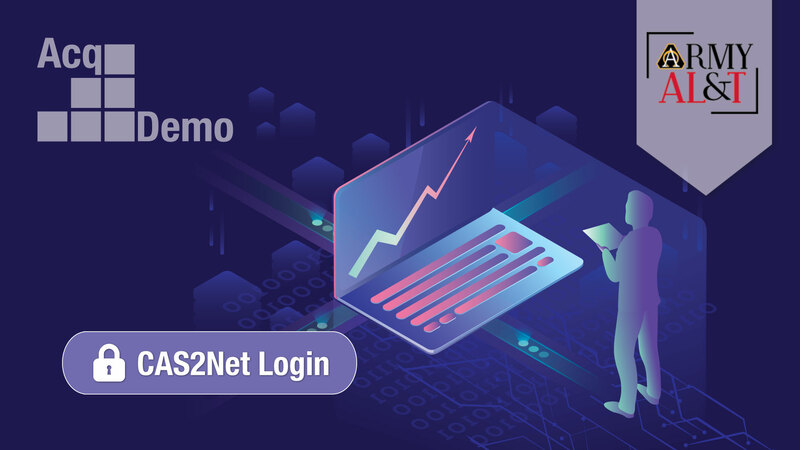 Along with CAS2Net, P&R Forms is the best-known of the software packages that ALTESS has modernized. It was almost a coincidence that the CAS2Net project came to ALTESS, Vance said. It happened that one of the people at the HCI office had served with Parton in the Army. (Parton exited the Army as a staff sergeant in 2002.). A fellow service member, Steve Edsall, worked at AcqDemo and the two got to talking. When Parton heard that AcqDemo was looking to upgrade CAS2Net, he saw an opportunity. He knew that ALTESS could do the work. With improvements desperately needed and a substantial number of new employees coming into the AcqDemo system, HCI was on the verge of hiring the original contractor to improve the system, Vance and Parton said. However, Parton came to Fort Belvoir in about June 2017 to brief the HCI team on ALTESS’s capabilities and its ability to replace “CAS2Net 1.0 with a new, modernized system that would be more appropriate for the growing user population, and that would be able to support that growth over the next five to 10 years,” Parton said. HCI “called a timeout” on bidding out the work, Vance said. From their sustainment work, it was clear to Vance and Parton “that the code base was limited and not very scalable” and would need to be rebuilt. According to Brock, the old system was so slow it could take all night for the Army AcqDemo office to run a report. As a result, she said, the office could never get real-time data. That mirrors something that Vance said about the P&R system. The Army Budget Office has reports that it must get to Congress. With the old version of P&R that ALTESS upgraded, Vance said, generating that report could take six to eight hours. The system that ALTESS upgraded enabled the Defense Technical Information Center to run the reports in seconds. Parton’s pitch to HCI was a hit. And because the relationship between ALTESS and HCI was government-to-government, ALTESS could be more flexible than an outside contractor could. If HCI wanted to update requirements after reaching an agreement with a contractor, it could mean more money and a contract modification, which could slow work. With ALTESS, that wouldn’t be necessary. “We had our initial requirements-gathering session around August 2017” with HCI, Parton said. The development of the revamped CAS2Net took approximately a year, speed that Vance and Parton attributed to ALTESS’s Agile development approach. Vance said that his team would take each requirement and code it in one- or two-week sprints, and then deliver that code for testing when the sprint was done. If new requirements came up, he said, they could work the code into the sprint schedule depending on its urgency. According to Vance, Parton and others that Army AL&T spoke to, the HCI office saved a good deal of money and gained considerable flexibility by working with ALTESS on the CAS2Net project. For Vance, the project was part of ALTESS’s dual role as both a data facilitator and a software development shop, within its larger role as a modernization hub. In addition, Hale said, ALTESS has positioned itself as an information technology (IT) managed-service provider for applications required to migrate to the cloud, which means that ALTESS can assist Army and DOD application owners not only with modernizing applications, but also with cybersecurity services, system engineering support and a host of managed services necessary to make them cloud-ready. On the one hand, ALTESS can lead government customers through the process of getting their data into compliance with DOD standards, which involves more than 290 different application compliance standards. On the other, it has a stable of software engineers that are fully capable of quickly modernizing software for government customers. “We were very fortunate that we built a whole application sustainment program that just happened to partner with a data center,” Vance said. For more information on ALTESS’s cloud or software modernization and sustainment capabilities, contact Chad Vance at william.c.vance1.civ@mail.mil. For more information on CAS2Net2, version 2.0, contact Tony Parton at Anthony.Parton@dau.mil. STEVE STARK is senior editor of Army AL&T magazine. He holds an M.A. in creative writing from Hollins University and a B.A. in English from George Mason University. In addition to more than two decades of editing and writing about the military and S&T, he is the best-selling ghostwriter of several consumer-health oriented books and an award-winning novelist. He is Level II certified in program management.